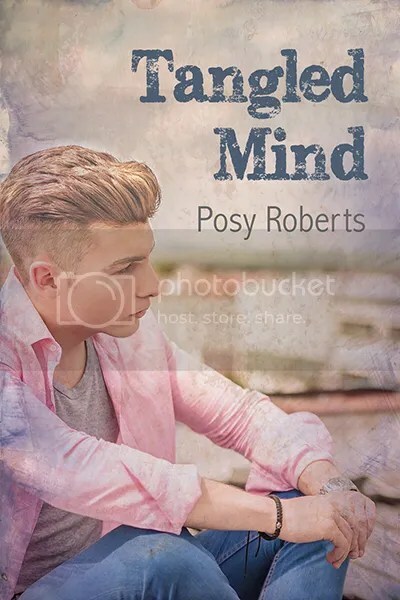 Please help me welcome Posy Roberts back to my blog! 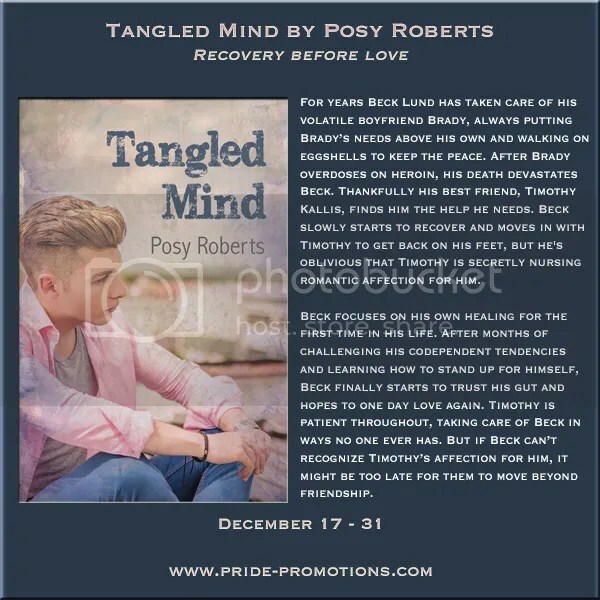 She’s celebrating the release of her book Tangled Mind, and sharing a little about the research she did while writing the story. I love to research. I’m curious to the nth degree, so I’m constantly looking things up, which often leads to me getting lost online rather than putting words to paper. I search for videos, photos, forums, research studies, websites, news, and even rely on weather charts to tell me typical temps and precipitation for certain areas. With Tangled Mind, I had to look into co-dependent treatment, which led me to resources for people living with an addict (of any kind), even though co-dependence can happen outside of addiction as well. I’m trained as a marriage and family therapist and have seen a lot of family dynamics in action. I’ve seen patterns of behavior people struggle with for years to change. Our brains are partially wired by past experiences, so when we need to make changes, our brains want to take us back to old and familiar behaviors. We have to push past natural tendencies, and that’s hard. And if we have another person there consciously or unconsciously pushing us to go back to bad habits, it makes it even more challenging. Change is hard, plain and simple, but change for co-dependent people can be even more challenging. I also had to dig into grief for this book and pulled out the familiar Kübler-Ross stages of grief model, but also looked into other theories. No matter what, grief is individual, and there is no timeline. There is often no real “end” either, even if we are able to go about our daily lives more easily. We don’t ever really “get over” it; we just learn how to live without. And the way we lose someone can affect how we manage our grief. Beck’s grief is a huge challenge for him because of the way he lost his boyfriend at the start of this story. For Tangled Mind, I had to learn about heroin. Aside from prescription medication, the hardest thing I’ve ever tried is marijuana; so learning about heroin was eye opening. For years now, if I heard of a celebrity dying of a drug overdose, it was nearly always heroin. The stuff scares me, but I had to research this so it rang true. I ended up on forums where people openly talked about their heroin use. It was interesting how frank these people were on a site that was public. The other research I do, if I have the opportunity, is talking to people who have experience with whatever topic I’m writing about. Sometimes that’s easy to find, but other times it’s nearly impossible. I most recently found a video channel on YouTube to help me with my current work in progress; it’s been invaluable. I’ve relied on my Facebook and Twitter friends when I’m at a loss and want a more in-depth understanding of something than a book or website can give me. And of course, there is personal experience. That’s the sort of research that can be dangerous, though. I’m currently writing about a man suffering from PTSD in my novel Silver Scars. I was diagnosed with PTSD years ago, but I didn’t want to rely on my personal knowledge too much. Not only is there danger in doing that, I also risk not doing my character justice. I dove into the research headfirst and learned a lot beyond what I knew from my own history. But of all the types of research I do on a regular basis, I have to say my favorite is photo research. Getting lost on Tumblr is one of the best things ever. 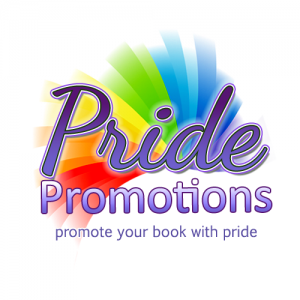 This entry was posted in For Your Reading Pleasure and tagged Contemporary, Dreamspinner Press, Guest Author, MM Romance, Posy Roberts, Pride Promotions by Charley Descoteaux. Bookmark the permalink.